This infuriates me because I can remember being newly pregnant with my first baby and feeling inundated with marketing information from so many formula companies. The amount of propaganda we receive as pregnant women is overwhelming. One of my care providers clued me in that perhaps I was receiving more than the “average” mom because I had checked the boxes indicating I intended to breastfeed my baby. My midwife’s opinion was that the marketing would be pushed to people like me even harder – so that they could try to “woo” me with their freebies of formula, baby bags, and cooler packs. Recently, the New York Department of Health announced a new set of regulations which will ban hospitals (and the clinics they’re affiliated with) from marketing formula information and materials. The main goal of these new regulations is to continue to increase breastfeeding rates within New York State. At this time, fewer than half of newborns in NYS are exclusively breastfed during the first few days of life. This is in contract with the national average, which is 70%. 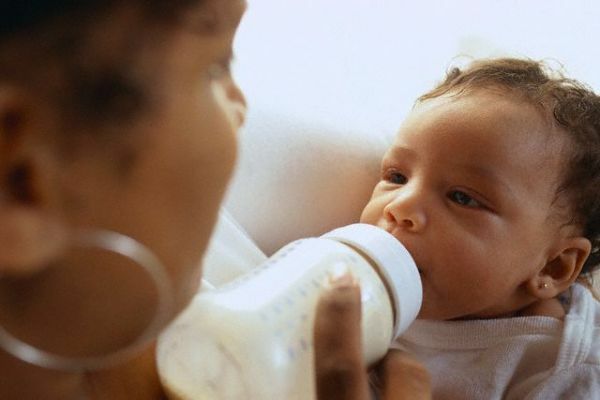 We at Moms Pump Here understand there is a need for formula and we do not want any moms to ever feel pressure to either breastfeed or to bottle feed. These choices should be your own decisions, not the result of multi-national corporations pushing their products to you. We welcome these new regulations and we look forward to seeing them implemented at our local facilities.